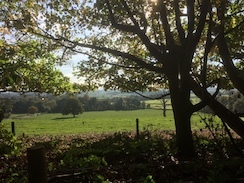 meets west - creating a path for a purpose"
All the routes start from in or around Oxted, in the areas of Limpsfield, Limpsfield Chart, Hurst Green and Tandridge. Oxted lies on the meridian line, where east meets west. The Greenwich Meridian separates east from west in the same way that the Equator separates north from south. A plaque commemorates this outside Paydens Chemist at 20 Station Road East in Oxted (51.257401, -0.001560) . Walk details will be posted below prior to the dates they are set. This was our first walk and at the best time of year when the beautiful bluebells form a carpet of blue under the shade of the woodland. The walk within Staffhurst Woods is a marked footpath. Full details of the walk can be found on ifootpath here and Map my Walk here. Find our more about our walk here. Our second walk around the wonderful Titsey Estate. At the top of the ridge the views are amazing looking from the manicured grounds of Titsey Estate across the Oxted and far beyond. The route and elevation can be found on Map My Walk. Amazing views event details can be found here. 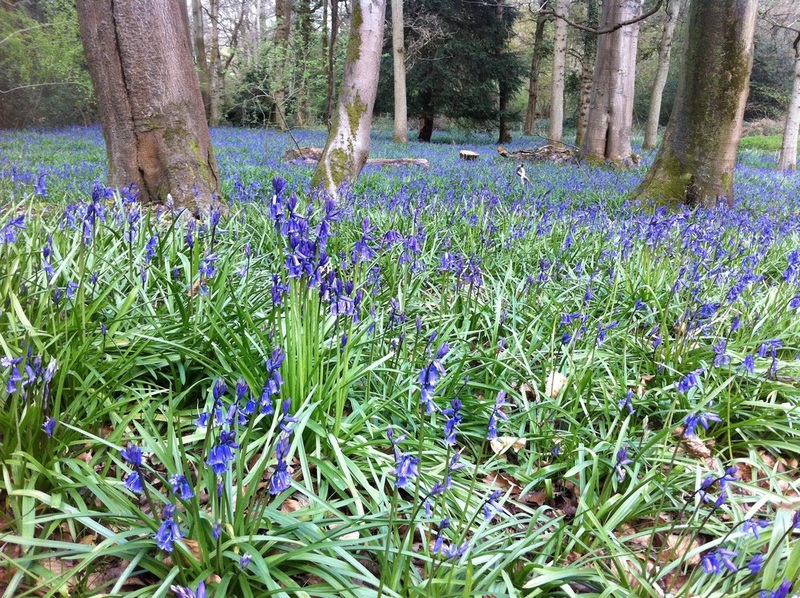 We will weave through the woodlands of Limpsfield Chart starting our walk from the popular Carpenters Arms pub. The route and elevation can be found here on Map My Walk. Full details of the walk can be found here. 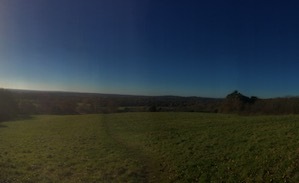 From the beautiful Botley Hill Farmhouse to the Titsey Estate. Great for watching the sun set over the hills. The last time we did this walk it was 30 degrees centigrade! Find our more about Botley Beat. 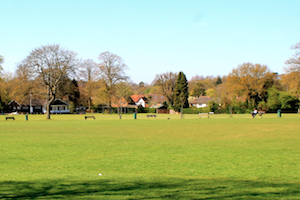 A lovely stroll around Master Park in Oxted past the church and around a field. Perfect for a lunch time break. 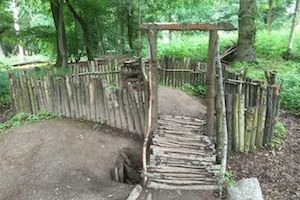 Starting at Limpsfield Royal British Legion, our walk crosses the Limpfield Golf course and ventures into the wonderful woodland where the National Trust have been busy. Find our more information on our Woodland Wonder walk here. Starting at Oxted Community Hall, we weave our way around the back of St Marys Church, along to old Oxted and Oxted Mill, returning via Master Park. Find out more about our Mill Meander walk here. 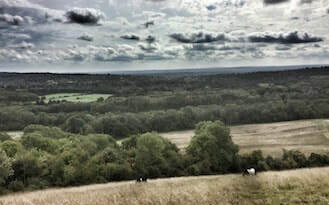 Starting from Boulthurst Way in Hurst Green Oxted this short 2 mile walk takes us up to Howards Hill where, on a clear days, the views over the countryside are magnificent. Find out more about our walk here. 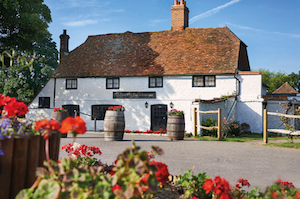 Starting at the Haycutter in Hurst Green, near Oxted, our hike crosses the pretty Broadham Green and up a slight hill towards Tandridge Village and back again. Walking past the Old Bell into Sandy Lane then across the fields and Barrow Green Road. Past Mohamed Al- Fayed's House, over the M25 and up a very steep hill where you will be rewarded with a magnificent view. Back down again end with a refreshment stop or lunch at the Old Bell. Find out more about this walk here. Starting at the Haycutter in Hurst Green, near Oxted, our hike crosses the fields towards Old Oxted. We head towards Tandridge Golf Course along to Tandridge and back through the pretty. Found out more about this walk here. walk4life to find walks around the area www.rowmaps.com shown below. The coloured lines show the rights of way. If you click on a coloured line, some details about that right of way will appear. The map on this web page has been generated by www.rowmaps.com. The underlying map is provided by OS OpenSpace and this is © Crown copyright and database rights 2012 Ordnance Survey. Data containing details of the rights of way have been released under licence by the councils of Barnsley, Bath and North East Somerset, Bedford, Bexley, Blackpool, Blaenau Gwent, Bolton, Bournemouth, Brecon Beacons National Park, Brighton and Hove (City of), Bristol (City of), Buckinghamshire, Bury, Calderdale, Cardiff, Central Bedfordshire, Ceredigion, Cheshire East, Cheshire West and Chester, Cornwall, Derbyshire, Devon, Doncaster, Dorset, Dudley, Durham, East Riding of Yorkshire, East Sussex, Essex, Flintshire, Gloucestershire, Gwynedd, Hampshire, Herefordshire, Hertfordshire, Kirklees, Lancashire, Leicestershire, Lincolnshire, Medway, Norfolk, North Lincolnshire, North Somerset, North York Moors National Park, Northumberland, Nottingham (City of), Nottinghamshire, Oldham, Oxfordshire, Pembrokeshire, Peterborough (City of), Plymouth (City of), Poole, Redcar and Cleveland, Rhondda Cynon Taff, Rochdale, Rotherham, Rutland, Salford, Sefton, Shropshire, Slough, Somerset, South Gloucestershire, Southampton (City of), St Helens, Staffordshire, Stockport, Stockton on Tees, Suffolk, Surrey, Swansea, Tameside, Thurrock, Torbay, Torfaen, Wakefield, Warrington, West Berkshire, West Sussex, Wigan, Wiltshire, Windsor and Maidenhead, Wirral, Wokingham, Worcestershire, Wrexham and York. An authority's Definitive Map is the authoritative source of their rights of way. The details of the public rights of way network contained in an authority's data are for information only, and are an interpretation of the Definitive Map, not the Definitive Map itself, and should not be relied on for determining the position or alignment of any public right of way. For legal purposes, an authority's data does not replace their Definitive Map. And changes may have been made to the Definitive Map that are not included in their data. The authority's data contains Ordnance Survey data © Crown copyright and database right 2013. Attempting to view this data with more detail than 1:10000 may produce an inaccurate rendering of the route of a public right of way. This data is used to generate the coloured lines.